Isahias J. Martinez died peacefully at a local nursing home on Friday, March 8, 2019. He was 66. Mr. Martinez was born to Juan Martinez and Angela Jimenez in Panales, Guanajuato, Mexico on June 22, 1952. He was a resident of this community for many years and was employed in the strawberry agriculture industry for 30 years. He enjoyed being at the Plaza with his many friends and tell stories. He had a great sense of humor and liked to make people laugh. Mr. Martinez was a Leon soccer team fan and liked to make friendly bets. He also enjoyed taking long walks, listening to “Ranchera” music, and watching TV. 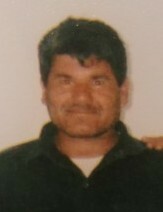 Mr. Martinez is survived by his siblings in Los Angeles and Mexico; and a goddaughter, Marisol Rodriguez of Watsonville. Visitation will be held at Mehl’s Colonial Chapel on Sunday, March 24 from 5-9 p.m. with the rosary recited at 7 p.m. Mass will be celebrated at Valley Catholic Church on Monday, March 25 at 10 a.m. with burial to follow at Valley Public Cemetery.